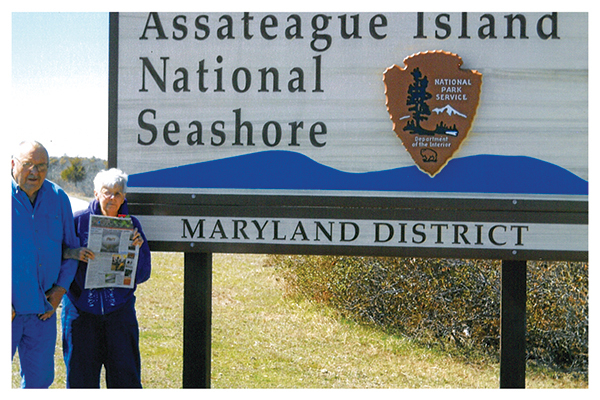 Bob and Elsie Waller, of Nelson Township, traveled to Salisbury, Maryland in April, and spent time with friends. While there, they visited Assateague Island, known for its more than 300 wild ponies that roam the beaches, inland forest, and salt marshes. While there, they took a break from sightseeing to get this picture of them with The Post. Thanks, Bob and Elsie, for taking us with you on vacation!